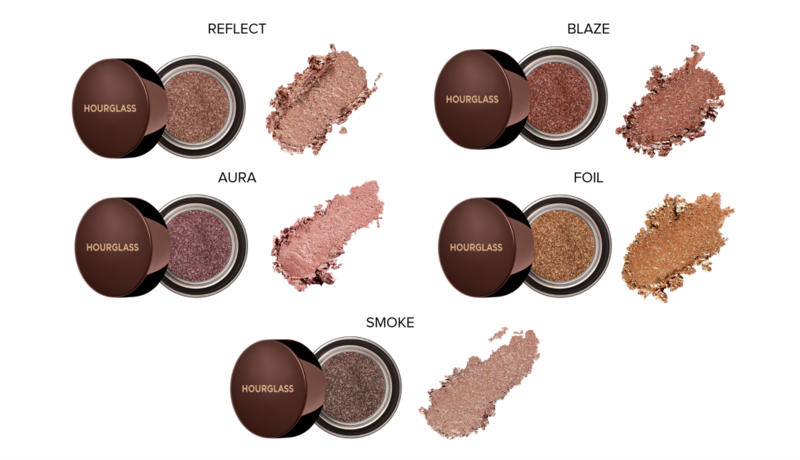 I’m a big fan of both Hourglass and glitter eye shadows, and so when the former announced the latter was coming, I immediately vowed to order at the first possible moment. 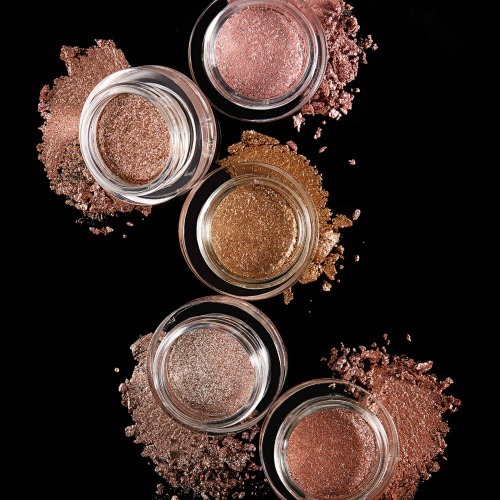 The Hourglass SCATTERED LIGHT GLITTER EYE SHADOWS are super fine glitter shadows infused with “light-reflecting pearls to create high-impact, sparkling eyes.” The result is quite striking, giving you a prismatic effect on the lid. Available in five shades (below), each retails for $29 each. I ordered Smoke (champagne) and Reflect (taupe), as I thought these two shades would work both well with shadow and on their own. The colors were stunning in person and the packaging (glass containers) felt luxe, as expected with Hourglass. Admittedly, I was a bit worried the formula would be flaky, but the shadows were creamy. Surprisingly I didn’t have much fallout. I first used a lid primer to prime my lids, and then applied the shadow with my fingers. I used a small brush to spread onto my inner corner. 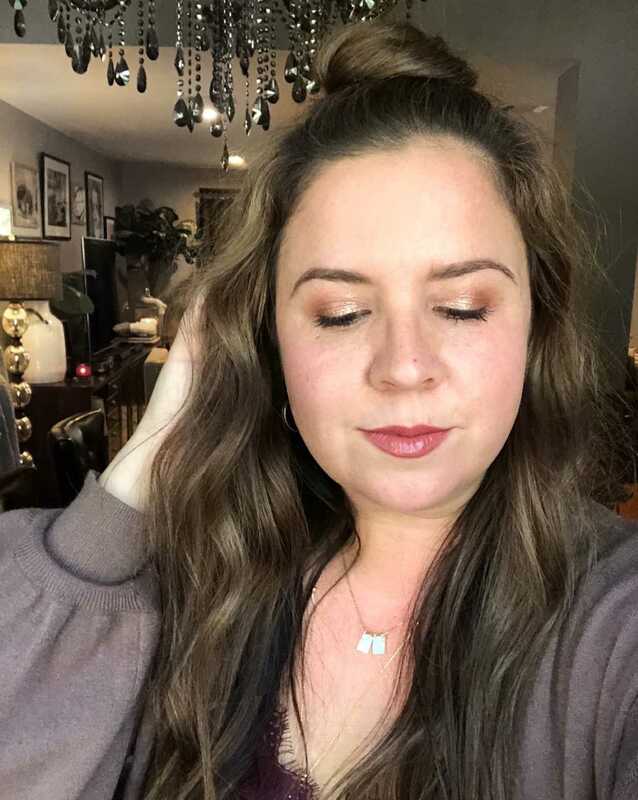 I’ve worn both colors on their own to give me a natural but striking shimmer, as well as layered on top of other shadows to give my lid a beautiful brilliance. The result is gorgeous either way. Blaze (copper) is on its way to me now too. Can’t wait! 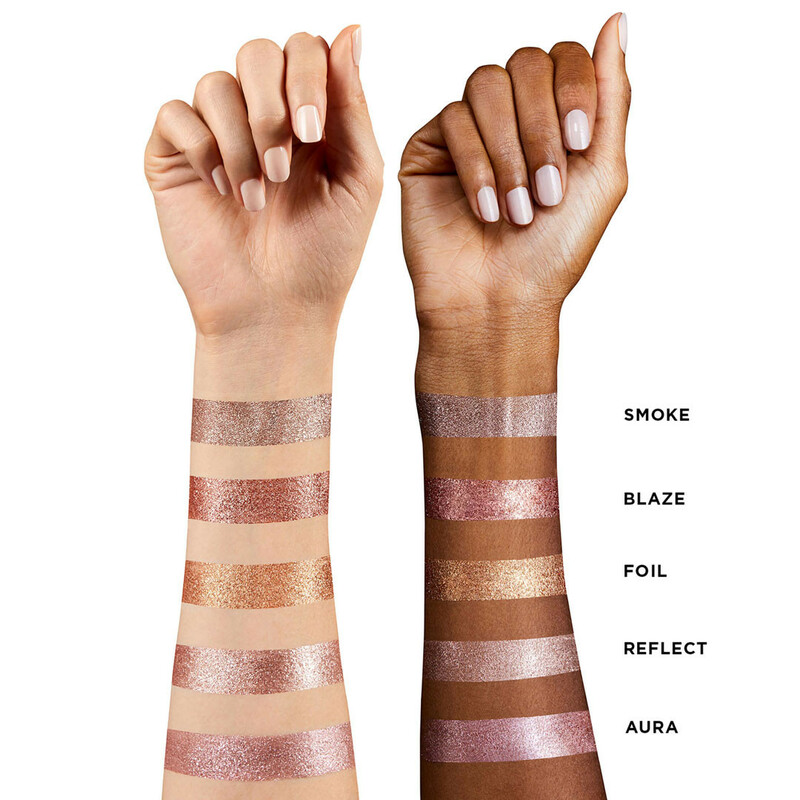 These have been a hit it seems, as they’re almost completely sold out at Sephora, but I ordered from Beautylish who still has them in stock in all colors and who ships super fast. Give them a try, you’ll love them, I promise!